When running on a virtual machine as the Pega Exercise System, the PRPC 7 file system can be accessed using an FTP client application such as FileZilla to exchange files between the host system and the virtual machine. For more information on the Pega Academy Exercise Systems, see System Architect Essentials I (7.1) and Senior System Architect (7.1) in the Pega Academy course catalog. The Pega 7 Exercise System personal virtual server (PVS) is based on a virtual machine that uses Ubuntu as the operating system by default. 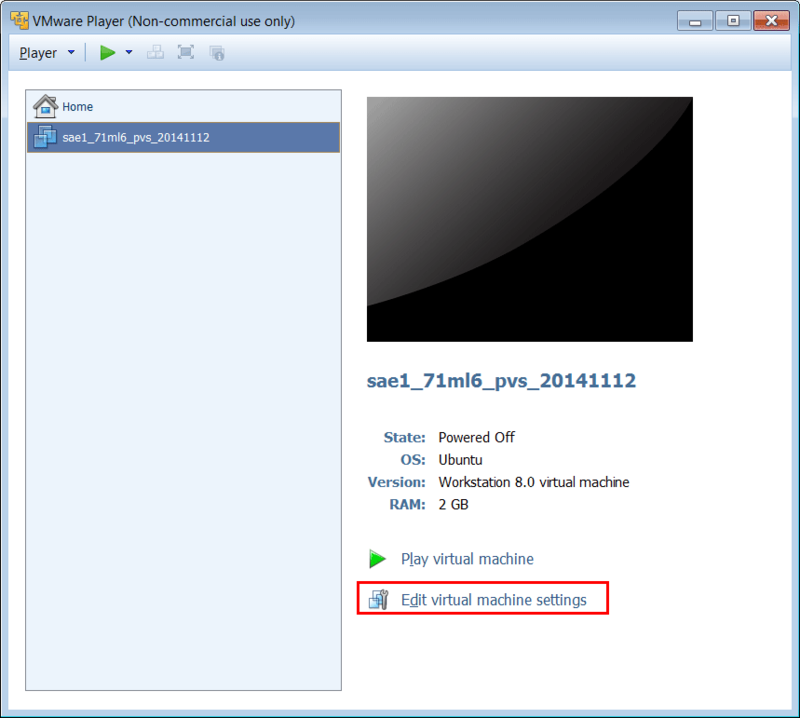 Open the VMWare Player and click on the virtual machine name that you want to use. 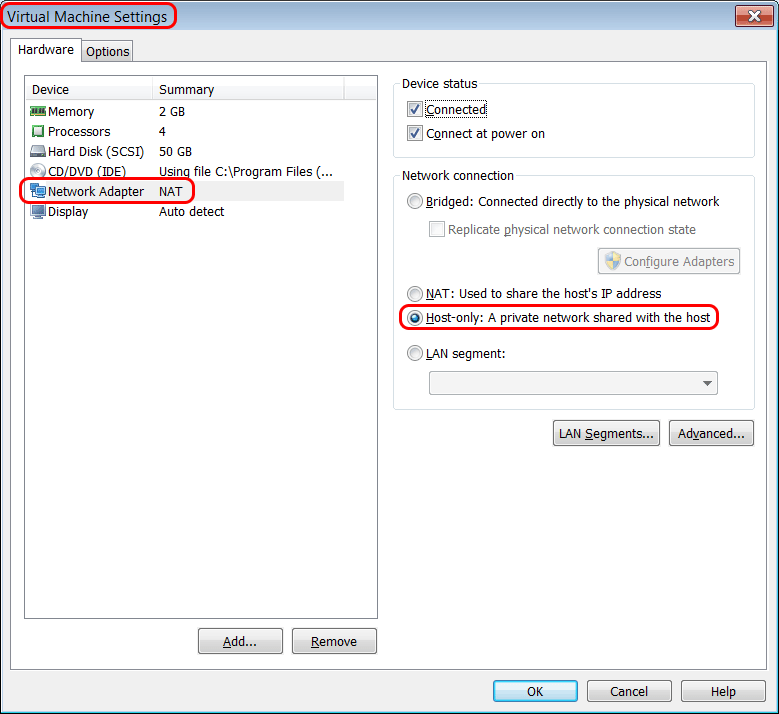 Then click on the link Edit virtual machine settings to review the network settings of the virtual machine. Clicking on Network Adapter will open a view showing the current network connection settings. In this example, the virtual machine is configured to use Host-only so that the virtual machine will be using an IP address in a 192.168 private network with the host operating system. The following command can be used to confirm that the SFTP service is running. By default, the SFTP service should be running. A list of active TCP connections will be shown. Look for the one where the port shows 22 and the state shows LISTEN. The IP address 0.0.0.0 indicates that the FTP server is reachable at all of its IP addresses (if it has multiple interfaces). To close the SFTP connection and to exit the program, enter: quit. 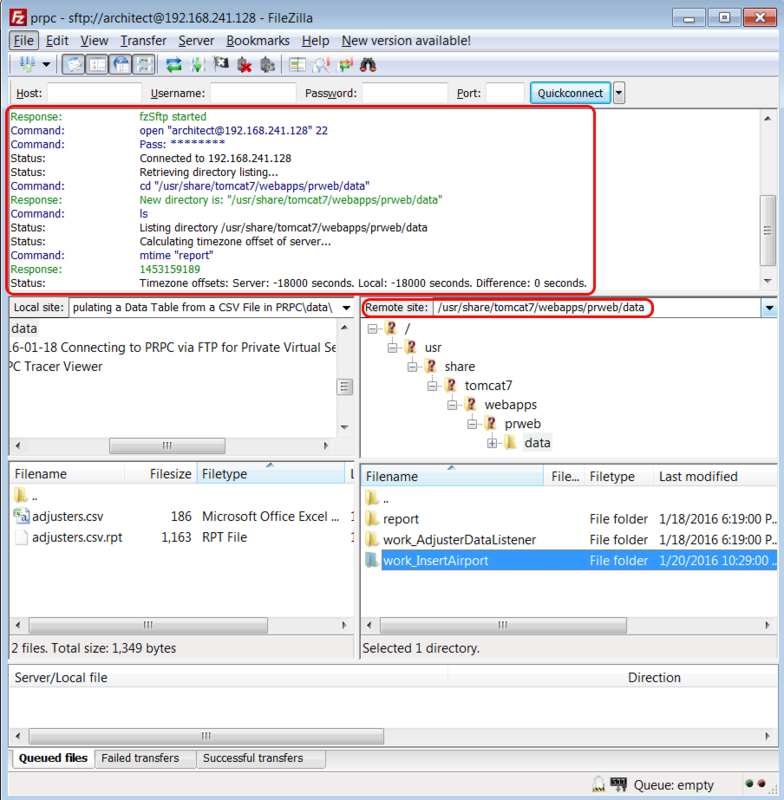 The FileZilla client for Windows and Mac can be downloaded for free from the source below. Install the client and the run it. Navigate to File > Site Manager and add a new site by clicking on the New Site button. 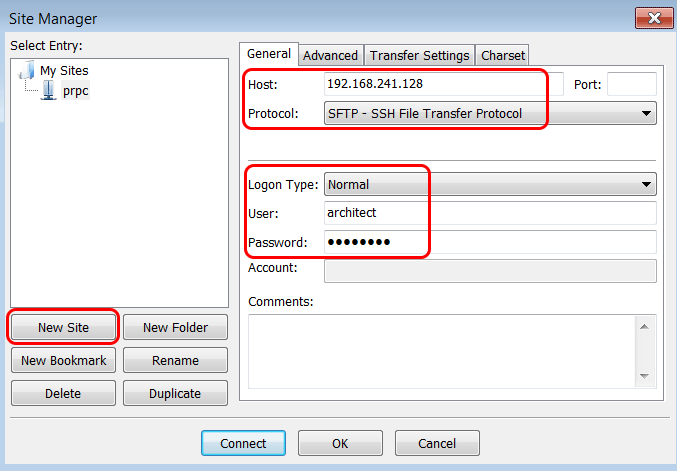 Enter the SFTP connection parameters as shown below. Click on the Connect button to open the connection. A message may appear, asking if the server SSL certificate should be trusted. Click on Yes to continue. FileZilla can now be used to navigate the file system of the virtual machine and to copy files to and from the host operating system. 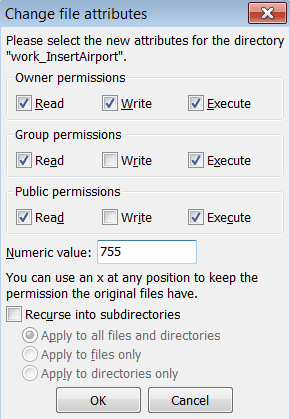 Note: FileZilla can also be used to set file permissions. 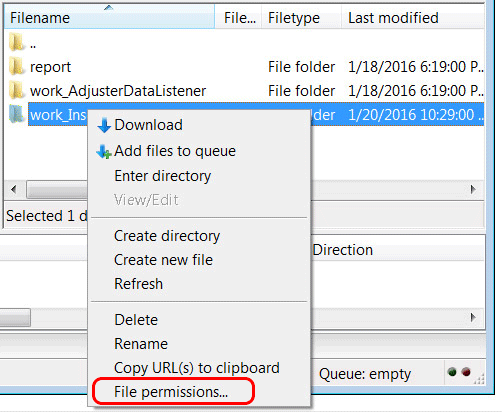 Right-click on a directory or file and select File permissions from the context menu. The dialog can be used to set read, write and execute permissions for owners, groups and public. 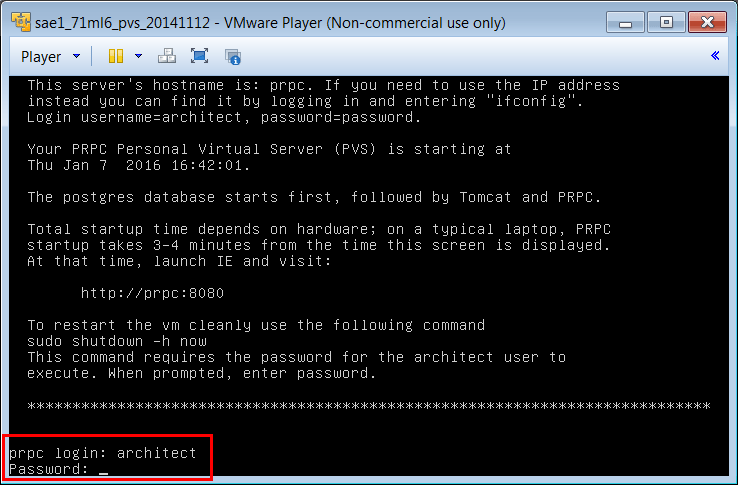 Note: If the Designer Studio or the FTP server are not reachable using the prpc hostname, the IP address of the virtual machine should be used instead. 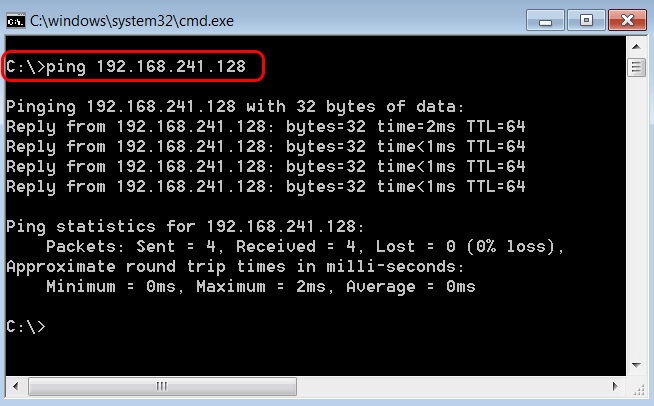 In this case, the IP address that is used by the PVS virtual machine is 192.168.241.128. 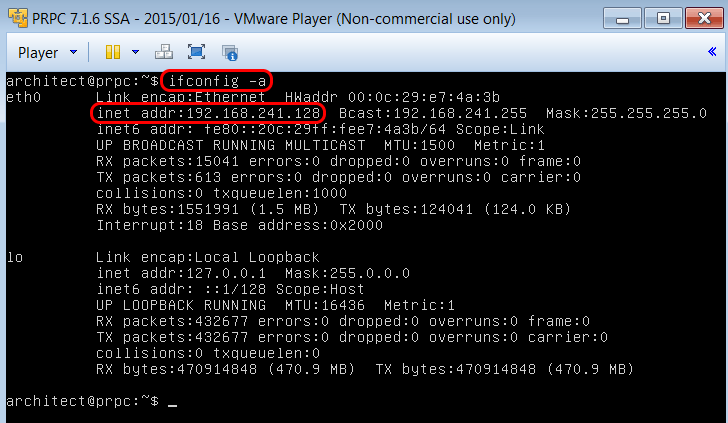 From the Windows or Mac host machine, confirm that the virtual machine is reachable by the given IP address. On Windows, open a command line window by clicking on the Start icon and entering cmd in the text box of the Windows menu. The cmd program should be listed at the top of the list under Programs. In the cmd window execute the ping command using the ip address that was obtained from the VM command line using the ifconfig command. Here it is, 192.168.241.128. If pinging the virtual machine was successful, continue with section 3 below. 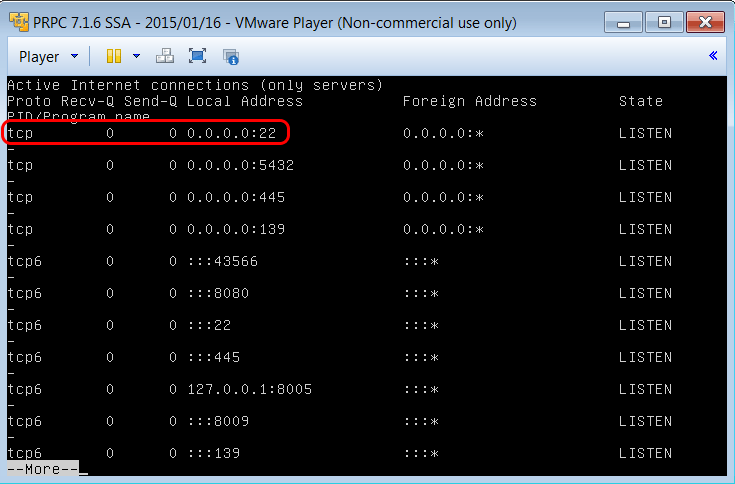 If not, it may be necessary to change the network settings of the VM in the VMWare Player (…NAT, Bridged). In addition, make sure that there are no firewall issues on the host machine. If the host machine is in a VPN, this could also cause problems with resolving the IP address of the VM.